The onion skin view on github helps highlight the differences. 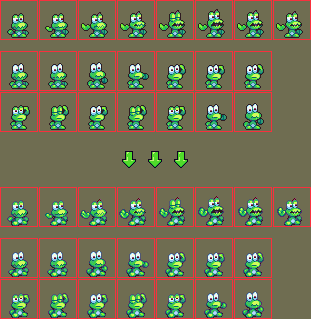 I myself have been struggling with our build system, and have been unable to build Frogatto for several weeks now. 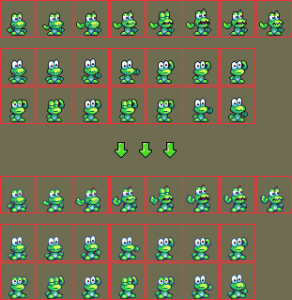 (I can’t get Frogatto to run on Ubuntu, since I’ve messed up something up dependency-wise.) Because of this, there has been no progress made on the inventory screen. This entry was posted on Wednesday, November 18th, 2015 at 5:48 pm	and is filed under Uncategorized. You can follow any responses to this entry through the RSS 2.0 feed. You can leave a response, or trackback from your own site. I like the one with outline more really. It makes the contrast between character and background better.